Named for Dr. and Mrs. A. C. Gettys, and completed in 1965, this hall was the first residence hall built at UMHB since the completion of Burt and Stribling Halls in the 1920's. The two-story facility, which was remodeled in the summer of 2011, is one of two male residence halls on campus and houses 78 students in shared rooms. 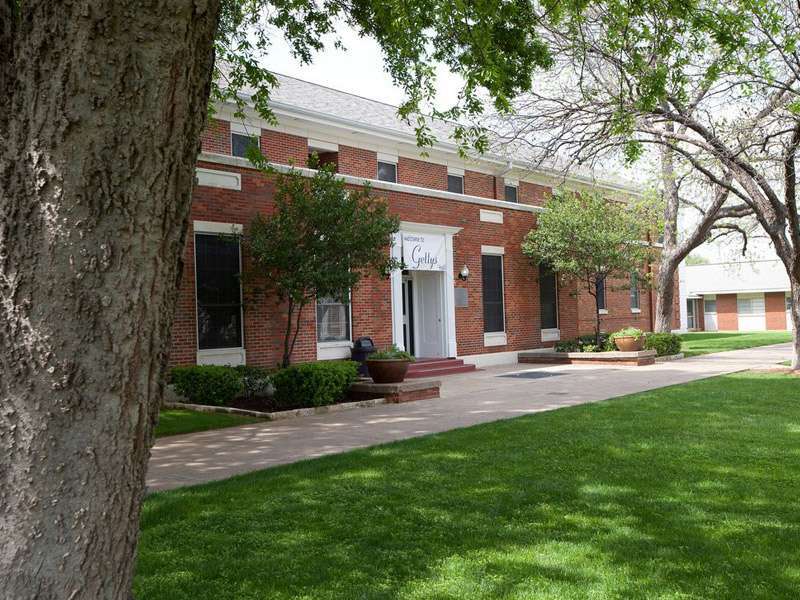 Gettys is located on the central quad area and is very close to Hardy Dining Hall and Mayborn Campus Center, which houses the gym, workout center, and recreational space. Gettys is also within easy walking distance to all of the academic buildings on campus, the intramural fields, and the library. This facility includes a large lobby with game tables such as ping pong, and pool, a T.V. area, a computer lab, vending machines, and laundry rooms where laundry can be done free of charge. Internet and cable connections are located in each room. The common bathrooms located on each wing are cleaned daily by the housekeeping staff. Approximate room size is 12' x 17', which is about 204 sq. ft. Shared room has two twin beds with 80" mattresses, two desks, two desk chairs, and two chest of drawers. The chest of drawers are on casters and can also be moved under the beds. The room also has a built in vanity with a mirrored cabinet above the sink. Beds are junior loft beds, which means they can be adjusted to create extra space beneath the bed. On the highest setting, the approximate space under the bed is 30”, which allows the resident to place the chest of drawers under the bed. Bed lofts are also available to lease through Collegiate Bed Lofts. This is the only company approved for lease of bed lofts by the university. Students cannot build or bring in other bed lofts but can use bed risers, which come in different heights and can raise the bed anywhere from 3” to 8” inches. Collegiate Bed Loft often experiences high volume and availability of loft kits can become limited. It is important to lease your loft kit early. Walk in closet is approximately 5' x 5'. Community bathrooms, located on each wing of each floor, have multiple stalls and are equipped with showers. Window measurements are 3' 4" x 5' 7" (inside casing) and mini-blinds are provided. One microfridge is included in each room. Floors are tile in a neutral tone and area rugs may be brought in.